Ideal for hundreds of uses around the home, garage and garden. High strength adhesive sticks firmly to most surfaces. 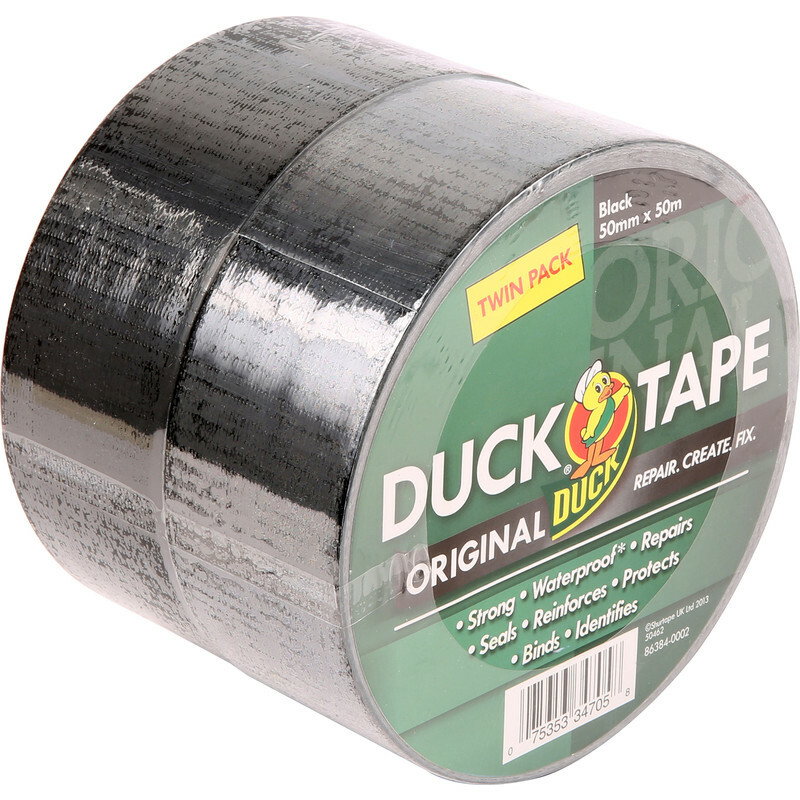 Duck Cloth Duct Tape Twin Pack Black 50mm x 50m (2 Pack) is rated 4.7 out of 5 by 3. Rated 5 out of 5 by mickychuck from Tried and tested what's not to like What can you say other than it's tried and tested for many years for virtually anything you can use it for from sticking to getting you home. Rated 4 out of 5 by Old dog new tricks from Great multipurpose tape. I use this tape for virtually everything, exterior and interior. Only problem is that it sometimes tears raggedly, rather than a clean tear off the reel.